More information surfaced on the new deal the Chicago Cubs struck with CBS Corp.’s radio station group. The team held a press conference at Wrigley Field Thursday to officially announce the new seven-year pact, which begins in 2015. 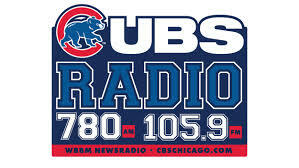 For one, Cubs games would be heard exclusively in the Chicago market on WBBM-AM, with news airing on WCFS-FM (105.9 FM) when the Cubs are on. When there is a Bears conflict (WBBM also holds rights to Bears games), Cubs games would appear on WCFS. WCFS, were the calls for the former AC formatted “Fresh 105.9”, which lasted from 2007-11. 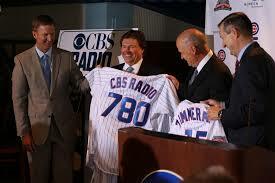 Per CBS Radio CEO Dan Mason and Cubs President of Business Operations Crane Keeney, the deal was more than selling rights to games to a radio station – it was creating promotional opportunities with the Cubs across The Church Of Tisch’s seven radio stations – two AMs and five FMs – and the cluster promoting and sponsoring events at and surrounding Wrigley Field. “CBS RADIO is honored to serve as the broadcast home of the Chicago Cubs,” said Dan Mason, President and CEO, CBS RADIO. “This storied franchise is among the most well-known clubs in all of sports and we’re pleased to establish this relationship with a team that has such a loyal fan base in Chicago and across this country. CBS did not reveal how much it paid for the rights, but it was a little north of what WGN Radio was offering. The deal would have more value down the road as the Cubs are planning to renovate Wrigley, and help revitalize the neighborhood surrounding it. As for the previous rights holders, WGN-AM, the deal the Cubs were looking for did not make financial sense for the station, according to president and GM Jimmy DeCastro. CBS was also able to offer much more than Tribune ever could. The Cubs’ exit leaves WGN with the Blackhawks and Northwestern football and basketball, but could go after White Sox rights after they expire in 2015. Cubs baseball had been a fixture of WGN Radio since 1958, though the station periodically broadcast games from 1925 to 1944. As the Cubs’ radio rights dilemma has been solved, the Cubs’ television negotiations have actually hit a snag. Oddly, Seattle could play a role in who gets the local TV rights in Chicago. That’s right, Seattle. Here’s the explanation. The Chicago Tribune reported Thursday that 21st Century Fox – whose WFLD/WPWR is in the running for Cubs rights, reportedly wants to trade the WPWR part of the duopoly to Tribune in exchange for its Fox affiliate in Seattle, KCPQ in the nation’s thirteenth-largest market, home of the Super Bowl Champion Seattle Seahawks. Fox wants an O&O in Seattle due to the Seahawks and is one of only three NFC markets whose affiliate isn’t an O&O. Tribune also owns the market’s My Network TV affiliate, KZJO. If WPWR switched ownership to Tribune, it would mark the first time a duopoly would be broken up and could make it more difficult for Fox to land the Cubs. Meanwhile, if Fox fails in its quest to buy KCPQ, its next likely target would likely be CBS-owned KSTW. Though not a CBS affiliate (it was one between 1995-2002 and 1960-62 – reluctantly sharing the affiliation with KIRO in this instance), it is a CW affiliate, a network with CBS as a part-owner. While it may seem impossible, keep in mind Fox bought WJZY in Charlotte last year – home of the Carolina Panthers – forcing the station to end its relationship with CW. Remember – whatever Fox wants – it usually gets. The question is, do they want the Cubs more?